 Additions and deductions must be reported separately, rather than netted. 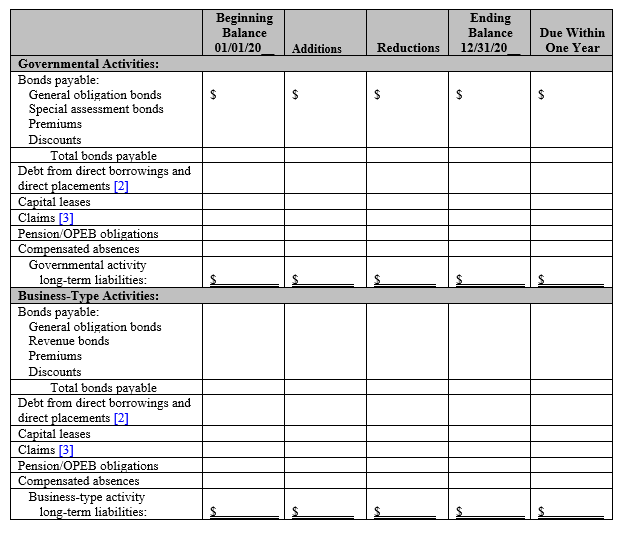 GASB Statement 88, Certain Disclosures Related to Debt, including Direct Borrowings and Direct Placements requires a separate disclosure of any direct borrowings and/or direct placements of debt from other forms of debt. Include judgments, self-insurance liabilities, etc. Disclose which governmental funds typically have been used in prior years to liquidate long-term liabilities other than debt.